A scheming producer and his mousy accountant aim to produce the biggest flop on Broadway in Mel Brooks' laugh-out-loud spectacle. Kid Friendly: Recommended for ages 12 & up - Please note that children under age 4 will not be admitted. The plot is simple: a down-on-his-luck Broadway producer and his mild-mannered accountant come up with a scheme to produce the most notorious flop in history, thereby bilking their backers (all "little old ladies") out of millions of dollars. Only one thing goes awry: the show is a smash hit! The antics of Max Bialystock and Leo Bloom as they maneuver their way fecklessly through finding a show (the gloriously offensive "Springtime for Hitler"), hiring a director, raising the money and finally going to prison for their misdeeds is a lesson in broad comic construction. At the core of the insanely funny adventure is a poignant emotional journey of two very different men who become friends. Bialystock and Bloom! Those names should strike terror and hysteria in anyone familiar with Mel Brooks' 1968 classic cult comedy film. As a big Broadway musical, The Producers again sets the standard for modern, outrageous, in-your-face humor. With a truly hysterical book co-written by Mel Brooks and Thomas Meehan (Annie) and music and lyrics by Mr. Brooks, The Producers skewers Broadway traditions and takes no prisoners as it proudly proclaims itself an "equal opportunity offender!" 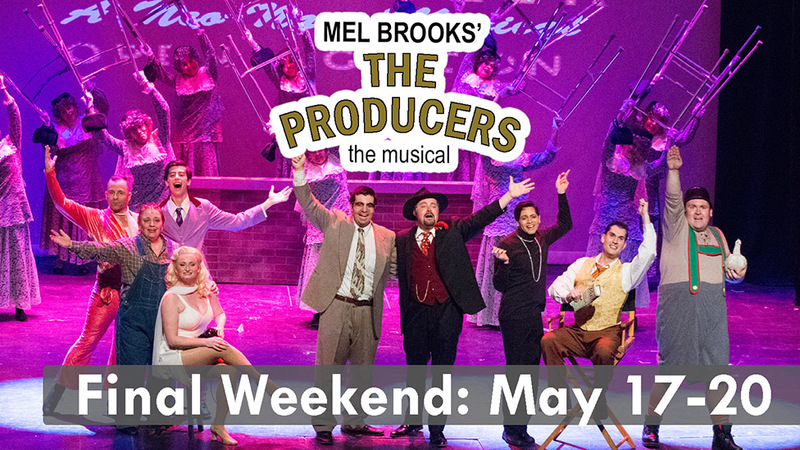 The Producers won a record twelve Tony Awards (one in each category it was nominated in) and wowed capacity crowds night after night after opening on Broadway in 2001. An Algonquin Arts Theatre production.